On July 25th, 2016, the musical stage, Majisuka Gakuen ~Lost in the SuperMarket~ had a dress rehearsal for the media and family/friends and members in the afternoon at the Akasaka ACT Theatre. The cast met with the media for interviews after the dress rehearsal. The opening show then took place in the evening. 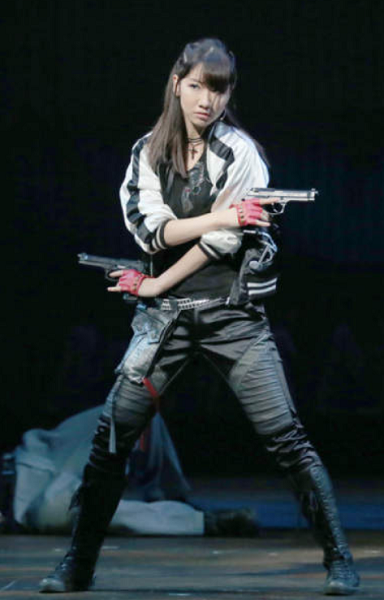 Yukirin takes center stage as she reprises her role as Black. During the press meet, the members made fun of Yukirin as she had to wear school uniform for the poster given her age. Yukirin spoke a lot about putting it her all into this role and throwing out the Kashiwagi Yuki that everyone ones. 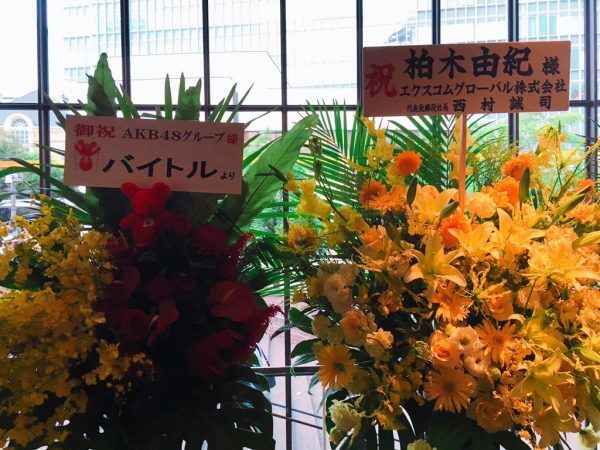 Lots of AKB members watched the dress rehearsal including Yuihan, Annin, Yuria, Mion, Sayaya, Megu, Izurina, Ayanan, Kiichan and Aerin. The stage will run until August 5th with 15 shows left. 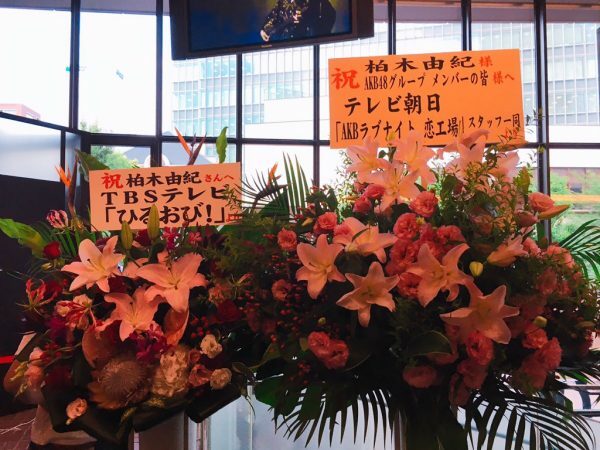 Yukirin treated all the staff and cast members to ice cream for shonichi. 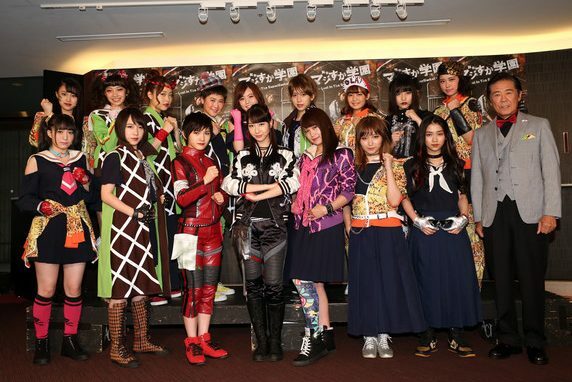 The main story takes place after the end of Majisuka 5 (where most of the characters died) and Majisuka Jyogakuen (Majijo) now has a new group of 1st year students. 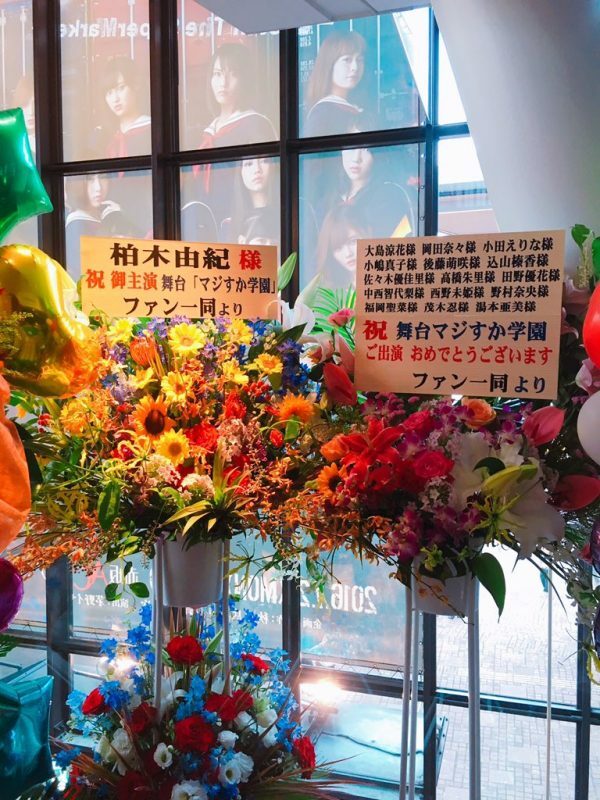 Amongst them are four 1st year students whose older sisters died in the Majisuka5 battle played by Oshima Ryoka, Takahashi Juri, Kojima Mako and Tano Yuka. Juri plays Ikanome, leader of Team Okonomi; Ryoka plays Utin, leader of Team Monja; Mako as Kamaboko and Yuka as Uvall. Okada Nana plays Katabutsu, a student at Majijo, she is someone that Black took under her wing after the deadly battle where she survives. Katabutsu looks up to Black and they have a master-disciple relationship. The back story of Black is also revealed as they jump back to the past (Majisuka 2), when Black started working at a supermarket when her had her son. The owner of the supermarket is like a mentor to Black and is someone Black trusts. He was killed by the yakuza group who wanted the supermarket lands. Black is the new principal of Majijo. All the stories are then intertwined as the new group of Majisuka Gakuen students along with Black fights to protect the school against that yakuza group. The whole stage is 2 hours and 15 minutes long. Part 1 is an hour long with a 15 minutes break before Part 2 which is 75 minutes long. 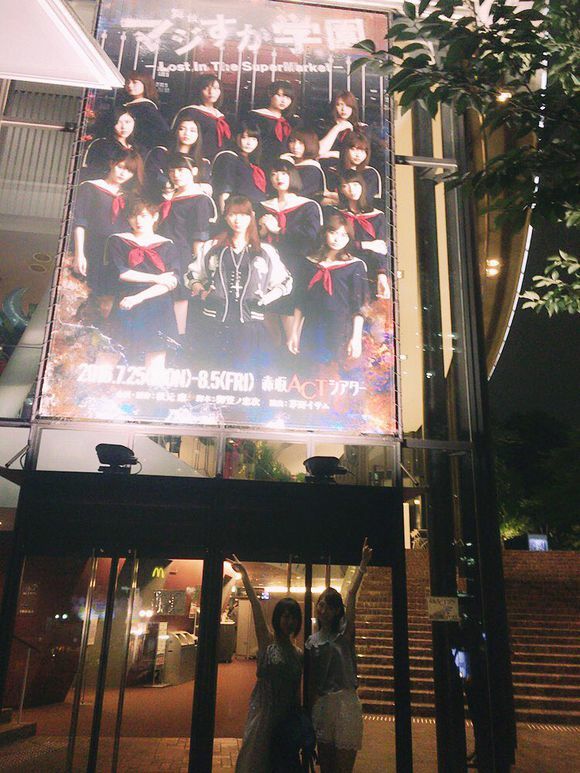 After Shonichi, Juri took pictures with Yukirin outside Akasaka ACT Theatre under the big Majisuka Gakuen poster. 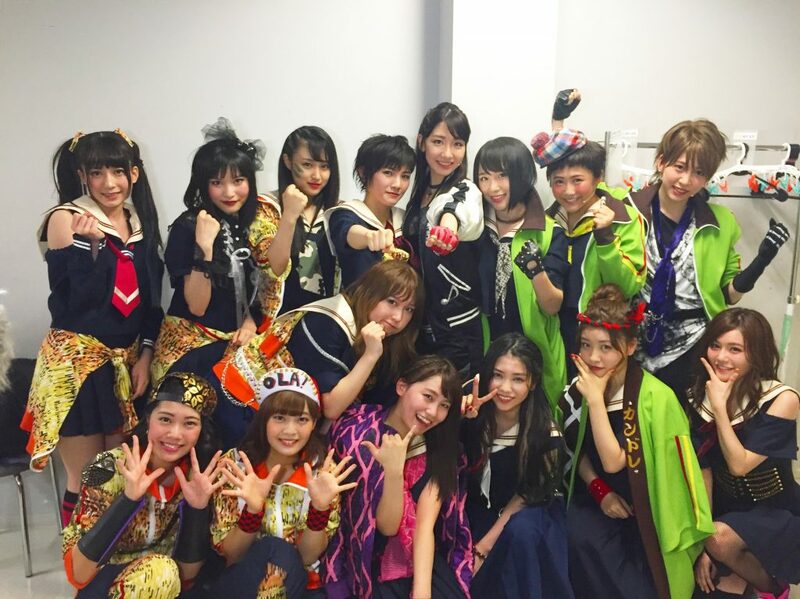 The members took group photos together as well after shonichi. Thanks for the info Maddie. From the clips of the rehearsal I am no longer worried. The girls did their best with the time they had and I can’t wait to see the play for myself. And I am with you both, another season should happen. We need our magical Black too. Guns are for Yakuza not Yankee!